Tornado velocities are reduced when a hill disrupts the tornado vortex under certain conditions. 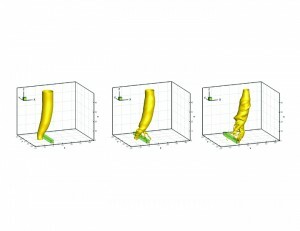 Using 3-D computer models, civil engineering professor Panneer Selvam and graduate student Piotr Gorecki have demonstrated the influence of hills on tornadoes. 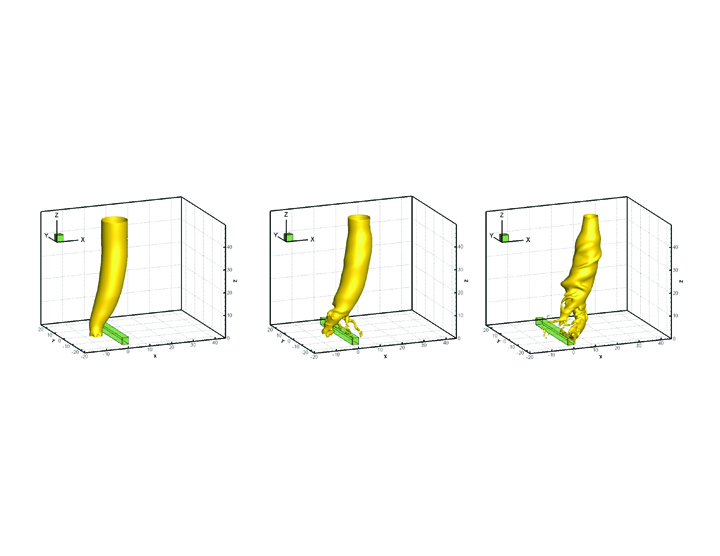 Their models revealed that the height of a hill and the size of a tornado’s vortex have a significant effect on the tornado’s destructive power. The findings could be used to identify safer areas for construction. “A preliminary observation from this study indicates that there is a region behind a hill where velocities are reduced due to disruption of the tornado vortex,” Selvam said. “Of course, this disruption depends on the height of the hill, as well as tornado size and velocity.” The researchers found that lower levels of a tornado’s vortex are significantly disrupted if the height of a hill is equal to or greater than the radius of the vortex. The models also confirmed an important finding from a previous field study – that wind velocities are significantly reduced on the leeward side of hills. In this region, the researchers found, wind speeds were reduced by at least 41 percent compared to the maximum tornado velocity, the speed at which it was traveling when it hit the hill. Selvam is holder of the James T. Womble Professorship in Computational Mechanics and Nanotechnology Modeling. He directs the university’s Computational Mechanics Laboratory.